and send out several newsletters per year requesting donations. succeed. On occasion, we have had to turn down a senior but it is rare. 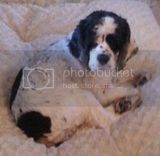 We are cocker spaniel specific and senior cockers need homes too. Some adopters shy away from seniors believing they will experience heartbreak sooner than with a younger pup. 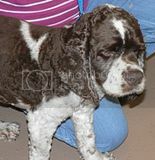 That they will not live as long as a younger pup and may have health issues. We tend to do more cataract surgeries on seniors but our juniors are not immune to the condition either. We do ear ablations when absolutely necessary but again this happens with pups of all ages. I think in general, we tend to spend a bit more on some seniors but certainly not all. We have senior adoption months when the focus is on seniors. cocker spaniels that come across our path. More photos of each senior are located on group’s website.